The Virginia Department of Agriculture and Consumer Services announced the first indications of crop acreages for the 2018 growing season. The estimates came from the U.S. Department of Agriculture’s National Agricultural Statistics Service. Soybean acreage in Virginia is expected to total 630,000 acres, up 30,000 acres from the previous year. Farmers in Virginia intend to plant 500,000 acres of corn, unchanged from 2017. Barley seeded by Virginia farmers in the fall of 2017 totaled 40,000 acres, up 10,000 acres from previous year. Winter wheat seeded by Virginia farmers in the fall of 2017 totaled 230,000 acres, up 20,000 acres from previous year. Upland cotton acreage in Virginia is forecast at 80,000 acres, down 4,000 acres from 2017. Peanut acreage in Virginia is expected to total 23,000 acres, down 4,000 acres from the previous year. 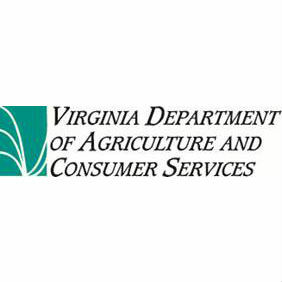 Flue-cured tobacco growers in Virginia intend to set 23,000 acres, up 1,000 acres from 2017. Producers intend to set 280 acres of dark-fired tobacco in Virginia, up 10 acres from the previous year. Acreage set to burley tobacco was estimated at 1,100 acres, unchanged from 2017. Farmers in the state intend to harvest 1.17 million acres of all hay, down 35,000 acres from 2017. To view the complete report, visit release.nass.usda.gov/reports/cropan18.pdf.